The importance of community health workers is increasingly recognized within many of today’s most high-profile global health programs, including campaigns focused on specific diseases and broader efforts to strengthen health systems and achieve universal health care. 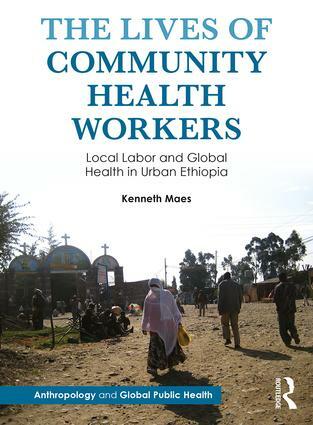 Based on ethnographic work with Ethiopian women and men who provided home-based care in Addis Ababa during the early roll-out of antiretroviral therapies, this book explores what it actually means to become a community health worker in today’s global health industry. Drawing on the author’s interviews with community health workers, as well as observations of their daily interactions with patients and supervisors, this volume considers what motivates them to improve the quality of life and death of the most marginalized people. The Lives of Community Health Workers also illuminates how their contributions at a micro level are intricately linked to policymaking and practice at higher levels in the field of global health. It shows us that many of the challenges that community health workers face in their daily lives are embedded in larger social, economic, and political contexts, and it raises a resounding call for further research into their labour and health systems they inhabit.